On the streets of Mexican cities, a deadly, multi-sided war, complete with horrific exemplary violence -- among competing drug cartels, between the cartels and the Mexican state, and sometimes between different elements of the Mexican state -- rages on, the body count rising by the day, if not the hour. The cartels -- Frankenstein monsters birthed by drug prohibition, swollen with profits from supplying our insatiable demand for their forbidden goods -- not only fight the Mexican state, but also insinuate their way into it, and into Mexican society at large, buying with their immense wealth what they cannot command with their bullets. This is commanding attention not only in Mexico, but also here north of the border, where the drugs are consumed and the cash handed over, where the fear looms that the violence will leak across the border. Despite the hyperventilating cries of some paranoid nativists, that has mostly not been the case, but if the violence hasn't arrived it's not because the cartels haven't extended their tentacles into Gringolandia. They are here, from San Antonio to Sacramento to Sioux Falls, doing business, and business is -- as always -- good. Throw in some festering anti-immigrant (read: Mexican) sentiment, Congress's failure to act on comprehensive immigration reform, and some zealotry from the land of Sheriff Joe, and Mexico and the border are commanding a lot of attention. That's being reflected in the publishing world. Over the past two or three years, I've reviewed a handful of titles about Mexico and the border (and read more), and now we have three more contributions -- one an academic study of the cartels by a leading American Mexicanist; one a polemic against President Calderon's drug war by a Mexican journalist and a former Mexican foreign minister; and one a journalist's look at the world of smuggling, of both drugs and people, and counter-smuggling along the 1,700 mile border. 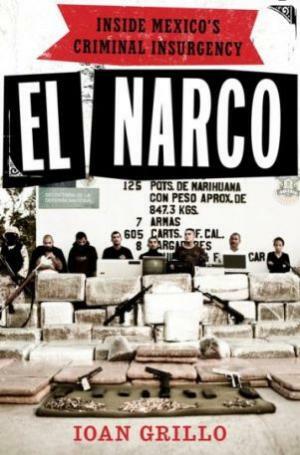 George Grayson's "Mexico: Narco-Violence and a Failed State?" 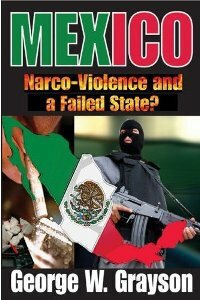 is an extremely thorough and comprehensive history and analysis of the rise of the cartels in the context of the weaknesses of the Mexican state. If you can't tell your Carillo Fuentes from your Arellano Felix, if you're not sure if it's the Gulf Cartel or the Zetas, if you keep getting "La Barbie" mixed up with "El Chapo," Grayson will save you. 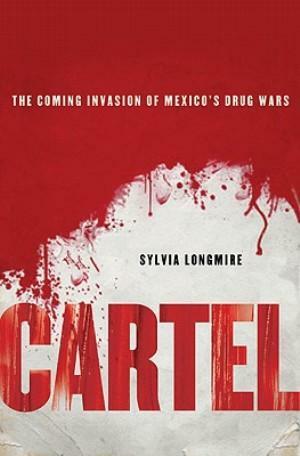 He's got all the cartel players and all their nicknames -- and they all have them -- he's got all the busts and the shootouts, he's got what is so far the definitive history of the cartels and Mexico's response to them. 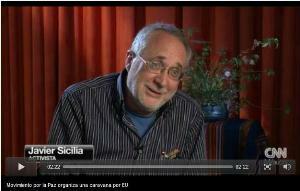 But Grayson is a political scientist, and that means we also get a history lesson on Mexican politics and culture, which for Grayson is largely a history of authoritarian institutions (the Catholic Church, the "perfect dictatorship" of the PRI), which the cartels imitate in their internal structures. Under the PRI, which ruled until Vicente Fox's PAN won the presidency in 2000, drug cartels existed, but in a modus vivendi with elements of the state. It was the political earthquake that shook loose the PRI that also unleashed the cartel wars, as old arrangements no longer served and new ones had to be forged. The ramping up of the drug war, first under Fox, and then under his successor, has only worsened the situation. Grayson doesn't see any easy way out. It is "extremely difficult -- probably impossible," he writes, to eradicate the cartels, even with heightened law enforcement measures on both sides of the border. Raking in billions of dollars a year and employing nearly half a million Mexicans (and no doubt, some Americans, too), the cartels may just be, in a phrase, too big to fail. Just like the Mexican state, in Grayson's opinion. It may be corrupted, it may be suborned, but it goes on. 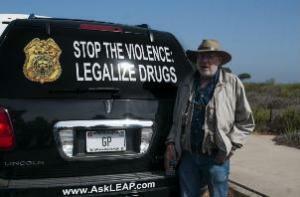 Although Grayson certainly plays it close to the vest, in the end he denounces the drug war. "Few public policies have compromised public health and undermined fundamental civil liberties for so long and to such a degree as the war on drugs," he writes. 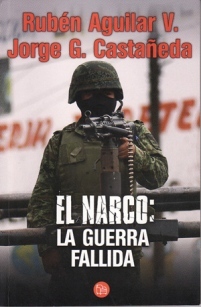 One gets the feeling that Jorge Castaneda, coauthor along with Ruben Aguilar of "Narco: La Guerra Fallida" (sorry, it's only available in Spanish), would like to be part of that Mexican state again. The former foreign minister has for years publicly suggested that it is time to talk about drug legalization, and "Narco" feels like part of a campaign to position himself for a run at office in 2012 or a post in whatever government emerges after elections that year. 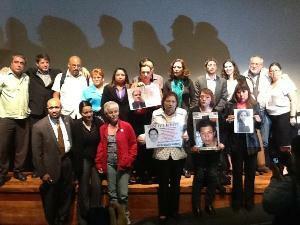 It is a polemic aimed directly at President Calderon's drug policies. Castaneda and Aguilar set out to systematically demolish the reasons cited for ramping up the drug war, and do a pretty thorough job of it. (Although not everyone agrees with them. 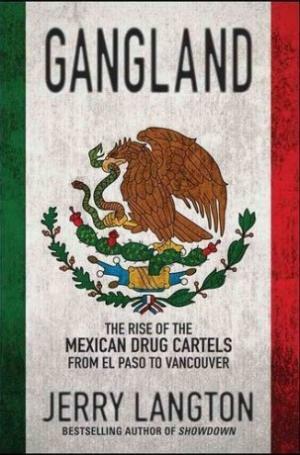 I saw Castaneda roundly berated at a Mexico City conference earlier this year for arguing that drug use in Mexico was not a significant problem, one of the central claims in the book.) Guns coming into Mexico from the US are not the cause of the violence, they also argue, and a full-blown confrontation with the cartels is not the way to go. Instead, they propose increasing public security and reducing the "collateral damage" from drug prohibition and the drug wars by concentrating police on street crime and selectively targeting the most egregious drug offenders. The others? Perhaps a modus vivendi can be reached, if not at the national level, perhaps at the state or local level, as long appeared to be the case in Sinaloa. Decriminalization is another response, although not without the US joining in at the same time, lest Mexico become a drug tourism destination. 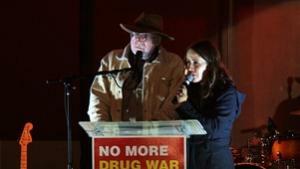 And harm reduction measures should be applied. But "Narco" is ultimately a call for ending drug prohibition -- and a marker for Castaneda in forthcoming political moves. 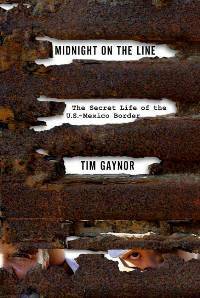 Of course, all those Mexican-controlled drugs have to get here somehow, which means they have to cross the US-Mexican border, and Reuters reporter Tim Gaynor's "Midnight on the Line" has got that covered. 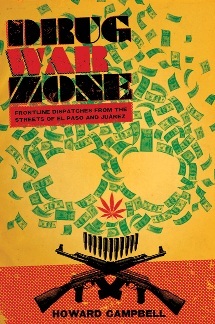 This is a fast-paced, entertaining, and insightful look at the contraband traffic -- both drugs and people -- across the border and the people who try to stop it. Gaynor works both sides of the border, talking to coyotes in Tijuana, showing up in a dusty Sonora border town and following the illegal immigrant's harrowing journey through the searing deserts of Arizona, and interviewing all kinds of Immigration and Customs Enforcement (ICE) and Border Patrol folks, as well as other officials on this side. Gaynor demonstrates with some verve the continuous, perpetual struggle between contrabandistas and the US authorities (or, like the Minutemen he interviews, volunteers) who struggle to choke off that traffic. He tracks for sign with Indian scouts on an Arizona reservation that has in recent years become a smuggling hotspot, he rides horseback and in a Blackhawk helicopter with the Border Patrol and tags along with one of its SWAT teams, he learns about the drones patrolling high overhead and the tunnels being bored far beneath the ground. And he introduces us to the people involved on both sides. Gaynor concludes arguing -- no doubt much to the consternation of the "secure the border" crowd -- that the border is tighter than ever, and that the steady increase in federal officers there this decade has had an impact. But, he notes, this success has perverse results. Tightening the border has been "a market maker for ruthless and profit-hungry coyotes and drug traffickers, for whom smuggling has never been more profitable," he writes. And so it goes. Gaynor's book is no doubt the easiest read, Castaneda's is more a marker of a political position than anything, and Grayson's belongs in the library as a desk reference for anyone really serious about following the cartels and Mexican politics. Happy reading. In Miguel Aleman, Tamaulipas, three people, including a man and woman were found dead in a car on a rural highway outside the city. The incident came just hours after two grenade attacks occurred in Reynosa's red light district. One of the grenades exploded near a police station in Reynosa's "zone of tolerance," where prostitution and retail-level drug trafficking are allowed to flourish. Earlier in the week, police closed a bridge to allow them to clear explosives that had been left there. 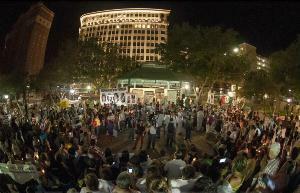 In Chihuahua, 24 people were murdered over the weekend in various parts of the state. Eight of the killings occurred in Ciudad Juarez, ten occurred in the city of Chihuahua, five in Cuauhtémoc, one in the town of Parral. The five men killed in Cuauhtémoc were killed after gunmen entered a bar and opened fire. 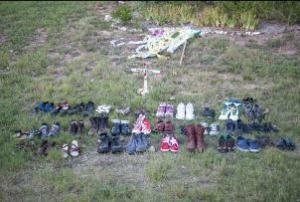 All the dead were young males between the ages of 18 and 25. 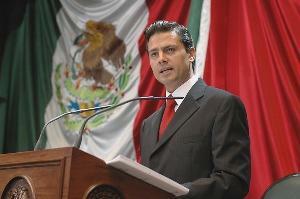 According to Chihuahua State attorney general spokesman Carlos Gonzalez, most of the killings are believed to be related to the ongoing struggle between the Sinaloa and Juarez Cartels for control of the Juarez drug trafficking corridor. 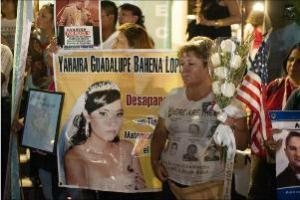 In Acapulco, gunmen shot and killed eight men as they played soccer in the early afternoon. The gunmen, who arrived in a convoy of 14 vehicles, were reportedly opening fire throughout the neighborhood for some 40 minutes, terrorizing the local population. In addition to the five men who were left dead on the soccer field, three of the bodies were picked up and taken away by the gunmen. The Acapulco area has seen an upswing in violence over the last few months as rival factions of the Beltran-Leyva cartel fight each other for the leadership of the organization. In Nuevo Leon, a mother and her daughter were killed and disappeared after being caught in a gun battle between suspected rival drug trafficking groups. The incident was reported by the woman's husband, who claims that the car in which the family was traveling was caught in a firefight on the highway. The car was struck by several bullets, killing the woman and the child. The husband was wounded, but managed to take refuge in a nearby house. 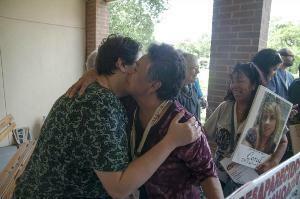 When he returned to his vehicle, the bodies of his wife and daughter had vanished. 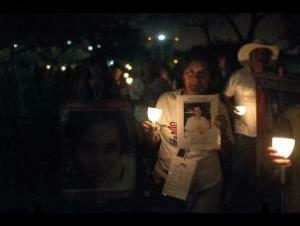 In Sinaloa, four people were killed in different incidents across the state. 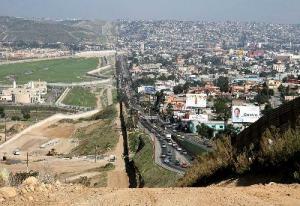 In one incident, the bullet riddled bodies of two men were found on the side of the Culiacan-Las Brisas highway. In another incident, an unidentified man was killed after gunmen ambushed him as he drove in the Emiliano Zapata neighborhood of Culiacan. In Tabasco, three women were killed in a parking lot in the municipality of Cardenas. The three women, none of whom have been identified, were beaten and abused before being killed. In Mexico, El Universal reported that it is now estimated that there are 35 illegal firearms for every one policeman in the country. This figure comes from reports from Oxfam, Amnesty International, and the Collective for Security, Democracy and Human Rights. According to these figures, there are now at least 15 million illegal firearms in Mexico, and 426,800 federal, local, and state law enforcement officers. In Cuernavaca, a new cartel claimed responsibility for the ambush of a high ranking police official in the city last Monday. The Cartel de Pacifico Sur (CPS) left signs on several bridges and overpasses in the city, claiming that they carried out the attack on Preventive Police Special Operations chief Jose Luis Arragon, which killed a woman who was riding in the car with him. Little is known about the relatively new CPS Cartel, but it is thought to be a faction of the Beltran-Leyva Cartel, which was left leaderless in December after Mexican naval commandos killed boss Arturo Beltran-Leyva. Many of the signs left by the group threaten American-born trafficker Edgar Valdez Villareal, aka "El Barbie", who is currently battling Hector Beltran-Leyva for control of the organization. In Durango, a high-ranking police official was ambushed and killed by a group of armed men on highway 66. A bodyguard was also killed in the attack.